Lock and load, soldier! 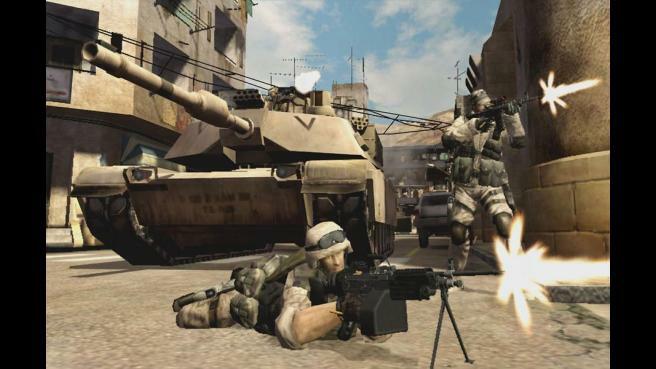 The Battlefield 2 Complete Collection puts you on the frontlines of 21st century combat. There’s a war going on and you’ve been dropped into the middle of it. Use the bleeding edge of military technology as you fight for one of the three military superpowers – the US, the Chinese or the newly formed Middle East Coalition. Survive in frenzied close-quarters combat in the world’s most dangerous hot spots. Hit the enemy on their home turf and unleash the world’s deadliest military forces, using their fury and high-tech arsenal to survive — then complete your mission and get home alive. Features Battlefield 2, the Special Forces expansion pack and two boosters.